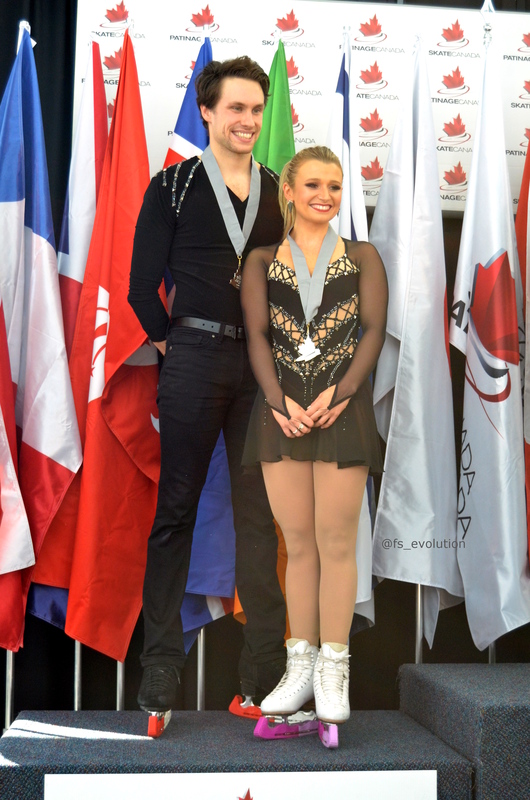 After the Sochi Olympics, Kirsten Moore-Towers and Michael Marinaro started a new partnership. Since then, they have become two-time Canadian bronze medalists, qualified for a spot at the 2018 Winter Olympic Games in Pyeongchang, South Korea where they finished 11th, and finished their season strongly by placing 6th at the World Championships in Milan, Italy. 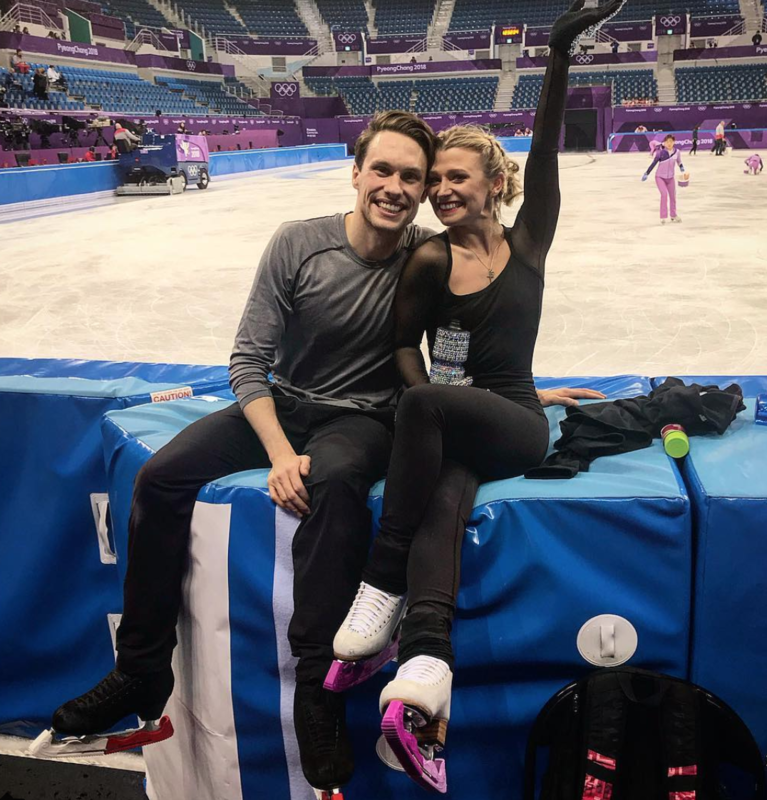 The two will compete this weekend at their second ISU Challenger, Finlandia Trophy, before beginning their Grand Prix Series at Skate Canada International, October 26-28. Figure Skaters Online’s Francesca (@FS_Evolution) caught up with Kirsten and Michael after they won the silver medal at the Autumn Classic International, September 21-23. Figure Skaters Online: Take us back to the beginning of your partnership in 2014. What aspects worked immediately and which aspects needed more time to be worked out? Did you have to change your technique? Kirsten Moore-Towers: We had a really tough start. I think our partnership was not approved of by the skating fan base and by a lot of the media, so it was tough to let go of that as we started. I also think we were both a little bit naive to how difficult it would be to start a new partnership. Mike’s old partner (Margaret Purdy) was very tall and I’m not quite so tall, so the technique was a lot different in that regard. The only thing that came easily for us were our side-by-side jumps because it doesn’t change much when you jump beside a different person. Michael Marinaro: We were definitely expecting to come together a lot faster than what it turned out to be. FSO: Kirsten, you went to the Olympics in 2014 with a different partner (Dylan Moscovitch), and Mike, for you, Pyeongchang was the first time. What are your impressions from the Olympics in general, and was the experience different for the two of you? Kirsten: I think the difference was more the qualification process. In Sochi, for myself and Dylan to qualify, the field was a little bit less steep. We were more certain that we were likely going to be at the Olympics in 2014. For Mike and I, it was the total opposite. We knew that we had to do everything that we possibly could to pull out all the stops in order to make a name for ourselves early in the season, so that they would be even willing to send us. The year before, we came in third at Canadian Nationals and (Julianne) Seguin and (Charlie) Bilodeau didn’t compete, and were still selected to go to Worlds. So we knew that we had to really prove ourselves in order to make a good enough name that they would believe in us to represent Canada. I think I knew what to expect in Pyeongchang, probably more than Mike did, just because I had done it before and it was largely very much the same as Sochi. But it was also very much different–the village and the proximity to the rink was very different. In Sochi, we were able to walk everywhere. Pyeongchang was not the case. In terms of the competition, I don’t feel like Mike relied on me because I had been there before. I think we had a set plan going in and we depended on it. We were very reliant and dependent on each other as we normally are and I don’t feel like it was very different from a regular competition. Mike: I didn’t really know what to expect at all. Obviously, I had been hearing some different things. 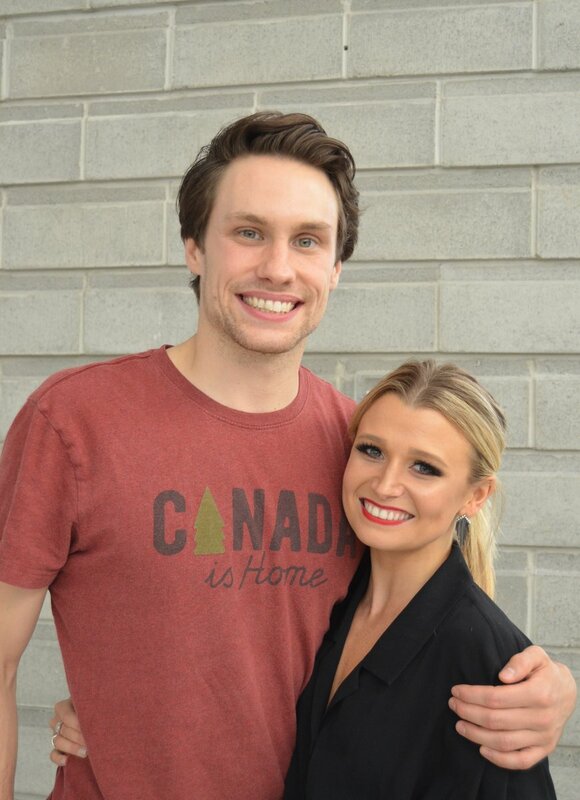 Kirsten, Scott Moir talked to me about it a couple of times, about what the Games would be, the experiences and everything, but until I got there, I really had no clue what to expect. There was a little bit bigger hype and a little bit bigger atmosphere around it, but on the ice, it’s just another figure skating competition. Kirsten: That’s the thing about the Olympics that I found before Sochi, so many people tell you what you’re going to experience and how you’re going to experience it, but you’ll never be able to predict how any one person will experience the Games. It’s nice to get advice from people like Scott or myself for Mike, but he’s going to experience it in a different way. FSO: You found yourself in an unexpected position as the only Canadian pairs team this season to qualify for the free skate at the World Championships. How did you deal with the pressure, also knowing that you lost training time due to Kirsten’s ankle injury before that? Kirsten: That was the toughest competition we had for sure. We didn’t have any training time between Olympics and Worlds. So while we knew that we were capable of good performances, we didn’t know how our stamina would hold up. We didn’t know how my ankle would hold up. I was not doing more than one throw in a session, so never mind two within a five minute span of time. We didn’t know if I would be able to step on my foot or make it to the end. So we were trying to focus on ourselves first and on having a good placement for Canada second. We knew we would not be able to achieve the latter without doing each element one at a time to the best of our ability. And I was really, really proud of us. Mike: That was definitely an unexpected position to be in. We didn’t really foresee that happening at all. And so once we were in, we just had to rely on ourselves. We had to just stick to our plan and try and put all the other exterior factors outside. Kirsten: We didn’t think about that during our skate, but before when we were warming up, for sure. We were lucky to have our high performance director, Mike Slipchuk, approach when were warming up and tell us just to have fun, to be ourselves, that there was no pressure because it wasn’t our fault that we’re in that position. We’re not putting blame on anyone. We felt terribly for Julianne and Charlie because it was so uncharacteristic of them to have that skate. We didn’t come in to the World Championships expecting to be in that position, so we were trying to strictly do our job. It’s easier said than done, but I think we did it a decent job of that. 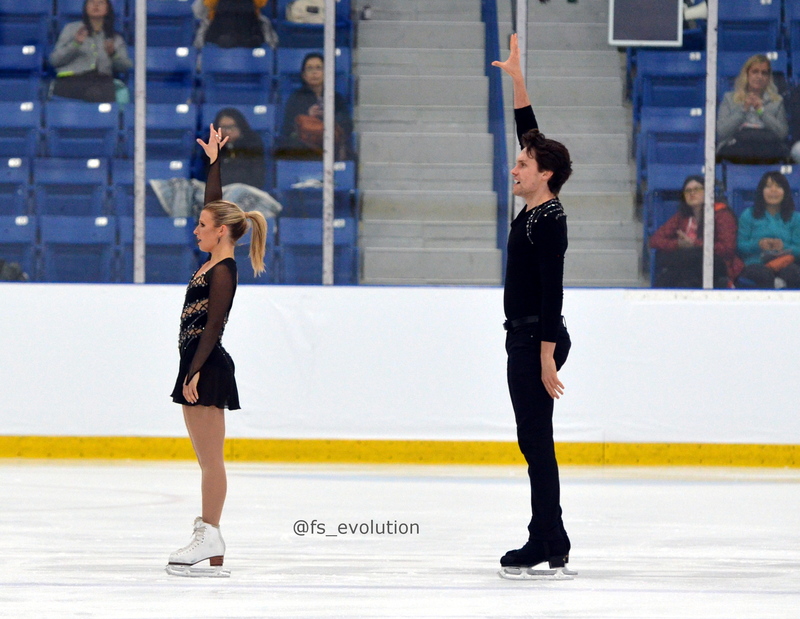 FSO: Since the end of last season, there has been a big turnover in Canada’s pairs, with Meagan Duhamel and Eric Radford retiring, Dylan Moscovitch retiring and Julianne Seguin and Charlie Bilodeau ending their partnership. How do you feel being the only veterans now? Have your expectations changed? Kirsten: I think we had a tough summer. In regards to my ankle, it was improving very slowly. So we have not able to train as much as we wanted throughout all the off season; we lost a lot of time. The breakup of Julianne and Charlie was a shock for us. We did not see it coming. When there’s two (teams), you push each other and you can get the results for Canada. Yet when they broke up, we felt a lot of pressure solely on our shoulders and I had the wrong mindset for the bulk of the summer because I was thinking not of how we can improve our skating, but more how am I going to keep Canada on the map, how am I going to make us the best we can so that Canada will be proud of that, so we’ll keep spots for Canada. That’s just the wrong mindset. We can’t think like that because so much of it is not in our control and so much of it is not attainable without focusing on our own elements. Our first competition was the Summer provincials in Pierrefonds (Montréal) in August, and I just went into it with such mindset and the (short program) skate really showed it. A lot of people were saying how great Mike looked and myself, personally, I just skated awful. The basic skating skills were not there. I fell on a jump. When I was reflecting, I realized that I was just thinking of all the wrong things. I wasn’t approaching the competition as I would approach any competition. I was approaching it like I have to win this. I cannot lose this competition. It was a hard lesson, but once we went through that, I definitely had a change of mindset. FSO: What elements have you been working on during the off season? Mike: With the (ISU) rule changes for the lifts, the lifts are exponentially harder. Every bullet point for the lift has gotten almost double as hard. So most of our off season was spent on doing lifts and they’re still a work in progress right now, they’re just starting to come together. Kirsten: As you could see (at Autumn Classic free skate), we struggled a little with our hardest ones. We are still building blocks. (The free skate) was a little bit of a disappointment for us. We know there’s so many things in that performance that we can do better, but we learned a lot from it. In the off season, luckily, it was lifts that needed the most work, because with my ankle, I was not able to jump or throw. So I think for right now, what we’re seeing in our performances is just lack of time. Although the elements are good in isolation, when we put everything together, sometimes little things shift and the product of that is everything shifting after and then we’re not quite sure how to adjust yet. I feel like this competition was good for us to learn what kinds of things we need to be doing when we go home. We haven’t been slacking by any means, but it’s difficult to know how to work hard and work smart. FSO: What are your goals for this season? Kirsten: We’re trying not to be placement oriented, because in our most successful times, I believe that hasn’t been our focus. It’s difficult not to say our goal is to make the Grand Prix Final, because we really want to be there. We know that in order to make it there, we need to do a better today, then a better Monday and then Tuesday and Wednesday and then a better Finlandia Trophy. We know these steps will help us to achieve it. We also want to improve our position at Worlds. We were tenth in the short in Milan (Worlds), but fourth in the long. We’ve always been kind of lower in the short than in the long and we want to improve our short programs so we’re not always fighting to come back after. It’s exhausting to catch up all the time, stressful. With the short we have now, we need some adjustments still to it to maximize our points, but we want definitely improve on the first half of the competition. Mike: Right now, our goals are more short term than long term. We’re trying to just focus on the day to day and take steps forward each day and hopefully have that resulting in a successful long term. FSO: Tell us about your two programs for this season, and what’s the story behind them. The short is set to a cover of “The first time ever I saw your face”; the long is a new style for you with a Pink Floyd medley. Kirsten: Julie Marcotte did the choreography for both and we really love working with her. It’s handy because she is in Montréal, so we work with her twice a week. It’s good in times like this because at this competition we learned a few patterns that needed adjusting and it’s easy for us to go see her on Monday when we get home. Mike and I don’t have a lot of ideas for music. We don’t know what would be good, what we need, so we really depend on her and our coaches for that. Richard (Gauthier) wanted the Roberta Flack song, “The first time ever I saw your face.” He’s wanted it for a few years and it was not the right time. We weren’t sure if we were ready before, but this year, we revisited it and we found the Leona Lewis version that we’re using, which has a bit of a better build to it. We really like it; unfortunately, right now we’re still training it a little better in practice than we are in competition, so we’ll need to mimic what we’re doing in practice in competition more often so that we can show actually what it’s about, but I’m hoping that it will grow nicely and it will be a good program for us. For our long, we wanted to go different this year, because it’s the first year of a quadrennial period. We want to really explore different facets of ourselves and of this partnership so that by 2022 we know exactly what works and exactly what will take us to our best placement. We can’t be so shortsighted to think of a placement at Autumn Classic when we know our final goal is in three and a half years. We were very excited about it at the beginning. We had a pretty large say in which songs we picked out and the order that they went in. Then it became a lot more difficult than we anticipated, it was hard to relate to it, to connect to it. I was feeling insecure when I was doing it. It wasn’t a style I was used to, but as we bring it out a little more in public at our camp and especially at practice this morning, we are getting a lot of compliments on it and I think it’s good for us to broaden our spectrum, but it will be a challenge. We’re going to be working with (ice dancer) Mitch Islam on our skating and our stroking and we’re hoping that he can help us to translate our power into a program like that, so we can find the right direction of where to push and where to pull back a little. We have big plans for it, we’re excited about it, we just don’t know how to make it its very best just yet. I believe it’s coming really soon. FSO: What are you most looking forward to in the next four years? Kirsten: I don’t even know if I’ve thought about it. I almost had a revelation just now when you were speaking like: ‘Oh my goodness, our goal is in four years. Why am I getting so worked up about today?!’. What are we most excited for? We like a leadership role: Mike and I are not the oldest on the team (we have Kaitlyn Weaver and Andrew Poje), but we’re getting pretty close and both of us enjoy supporting our younger teammates at home and we like to help be at least a couple of a few leaders that Team Canada has. I’m hoping that with our prowess and with the work that we’re going to do to establish ourselves as a top team in the world, we can really use this platform to help Skate Canada be better and to help our training center be better, and to better ourselves. Dylan (Moscovitch at Autumn Classic) just interviewed us and I used to always make fun of Dylan for being old. Dylan’s eight years older than me. So when we started skating together, I was 16 and he was 24, and I thought he was ancient. I’m 26 now. So I’ve been making fun of him for so long and I just said to him, ‘Now we’re you!’ For example, there was a team at High Performance Camp that Mike was her first little “fake” pair partner. Mike: One of the younger girls I skated with in ice shows when she was eight years old, who I would lift and spin with…that’s Evelyn Walsh. It’s a little bit weird. I’m still coming to terms with it now, seeing her as a competitor. Also during the same time as High Performance Camp, the Junior Grand Prix was on. Another Canadian pairs skater, Patricia Andrew, was competing there, and I remember I was teaching her CanSkate (Skate Canada’s learn to skate program) when she started. She’s doing really well on the Junior Grand Prix. So this is putting everything into perspective. Kirsten: Look at Aljona (Savchenko). She’s crazy in all the best ways. I think it takes a special kind of person to be able to achieve what she has, but she makes the rest of us feel like it’s possible, if we stay healthy. She’s a role model–that girl never quit. And look what she has to show for it. Pretty cool. FSO: What’s your favorite thing about your partner? Kirsten: Ooh, this one’s super easy for me, because I tell people all the time. Mike is so even keel and he has the ability to turn any situation good. That is something that I am not always good at. I’m more likely to get riled up, more likely to get angry or frustrated and Mike has always been able to bring me down, back down to Earth a little bit and put things into perspective. I think, because of that, we are able to stay calm and stay communicative in situations where it might have, otherwise, been difficult. So I think that a large part of our success has been due to his ability to keep us on the straight and narrow, and he never argues. Mike: Probably her hard work and her focus. There’s never a moment at the rink where she’s not giving 110% or she’s not focused on her personal goals or the team’s goals. It’s always business and it’s always striving toward something. Never getting away from that. FSO: What’s something people don’t know about your partner? Kirsten: I was going to share something, but he doesn’t want me to, so now you guys are all going to be curious. Something else you don’t know about Mike, he is no fun to play sports with that are not figure skating. He’s really no fun at all. I refuse to do anything with him because he’s so competitive and gets mean. Go karting, axe throwing, volleyball, soccer, baseball, canoeing, he’s so competitive. Mike: About Kirsten… figure skating, dogs, sparkles… people know this. She’s pretty smart. She’s good at school. She may not come across that way all the time. Courtesy of Michael Marinaro, who captioned this Instagram photo “Better luck next time Kirst…. 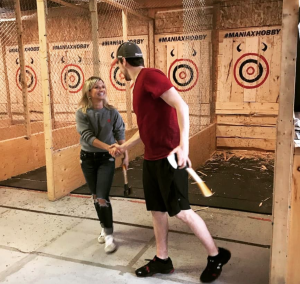 Mike comes away with the W” after he won their axe throwing duel in May 2018.